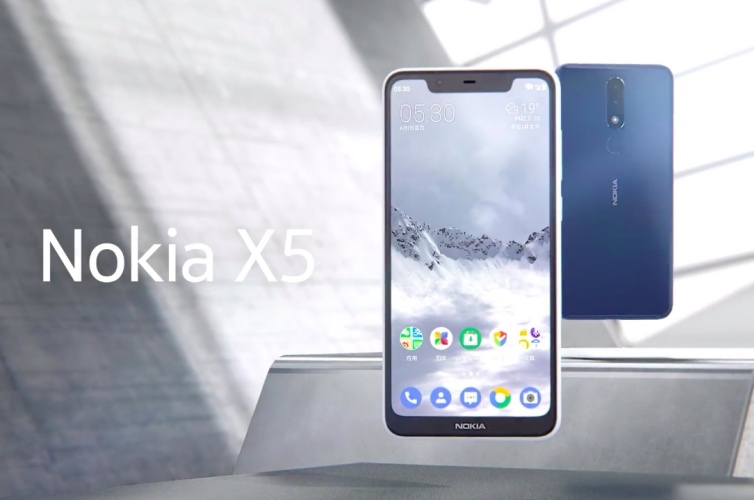 With the Nokia X6 losing its exclusivity and going global, HMD Global has now decided to treat the Chinese with yet another stunning and notch-laden device – the Nokia X5. This is the second device in the company’s ‘X series’ and is quite resemblant to the Nokia X6 in both design and aesthetics. The first thing that grabs your attention towards the Nokia X5 is its impressive 5.86-inch HD+ display, with a 19:9 aspect ratio, 2.5D curved glass, and an 84% screen-to-body ratio. Yes, the Nokia X5 has a notch up-top and a chin but so does almost every phone in the market right now. But, that’s not all. The device has a polycarbonate frame with a ‘double-sided glass’ body that gives it a premium feel for its price. The iconic Nokia logo is still placed in a vertical manner at the center of the rear panel. This device is powered by the MediaTek Helio P60 octa-core chipset, with two RAM+ internal storage configurations, i.e. 3GB RAM+32GB storage, and 4GB RAM+64GB storage. You can further choose to expand the storage up to 256GB via a microSD card. 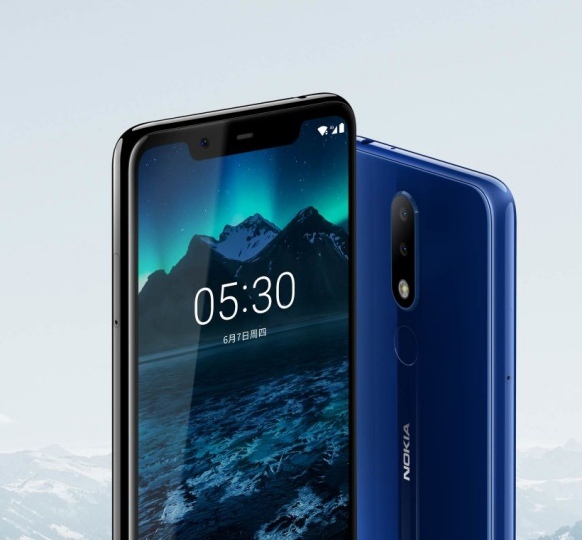 On the optics front, the Nokia X5 comes with a vertical dual rear-camera with a 13MP primary sensor with a f/2.0 aperture and a 5MP secondary sensor. There’s also an 8MP selfie camera, with AI features, portrait mode, HDR, Bothie and more functionalities. You also get a fingerprint sensor on the rear, a 3,060mAh battery, a USB Type-C port, 3.5mm headphone jack. You also get the common connectivity options like dual VoLTE, Bluetooth 4.2, Wi-Fi 802.11 a/b/g/n/ac and more. And most importantly, it’s backed by stock Android 8.1 Oreo out-of-the-box. 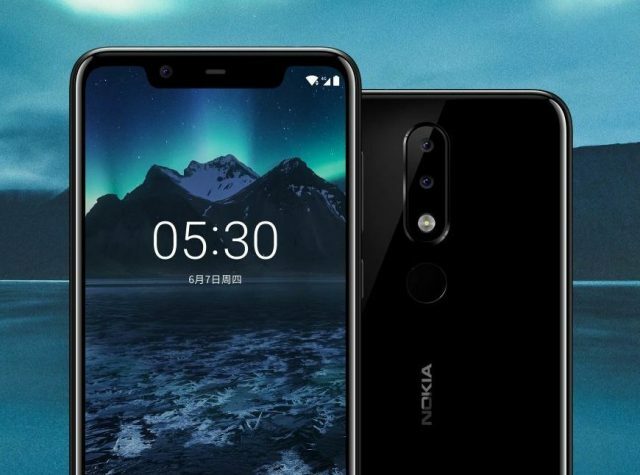 The base variant of Nokia X5 is priced at 999 yuan (approx Rs 9,999) whereas the 4GB + 64GB variant will retail at 1,399 yuan (approx Rs 13,999) in China. The Nokia X5 will be available in three eye-grabbing color variants, namely Night Black, Baltic Sea Blue, and Glacier White. There is no mention of an India launch yet, so keep your eyes peeled for more info. So, how do you like the new Nokia X5? Let us know your thoughts in the comments below.